It is 9 minutes past six in the evening. I am writing a review of a murder mystery novel. I like murder mystery novels as they involve puzzles where you try to solve the mystery before the answer is revealed. The novel I am reviewing is written by a boy with Asperger's Syndrome. I like reviews because you always know what someone thought of the book they are reviewing by the number of stars they have given the novel at the top of their review. It is a social convention that books are marked out of five, and that the more stars you give them, the more you liked the book. I liked this book a lot. That is why I gave it five stars. What first drew me to this book was the title. The title is very long which is unusual for a novel. 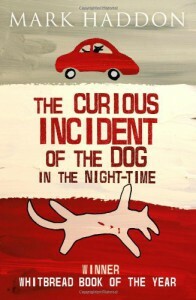 The title of this book is 'The Curious Incident of the Dog In The Night-Time' and it says the author is Mark Haddon. I have read the book and the author is actually Christopher Boone, this is one of the mysteries contained within it. 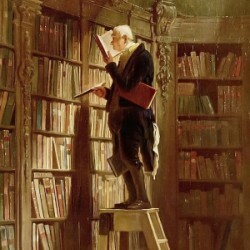 In the book he states throughout that he is writing this book because he likes murder mystery novels as well, and he had a mystery he needed to solve. (He later had two mysteries to solve). The initial mystery he had to solve was about a dog that had been killed with a garden fork which he found at 7 minutes past midnight. The dog belonged to his neighbour, this neighbour was a friend of his. The neigbour came out after a while and accused Christopher of killing the dog. As did the police officer, who touched Christopher. So Christopher hit him. I think that day must have been a Black Day for Christopher due to what happened, if he had been on the bus I think he would have seen four yellow cars in a row. When I read this book however I saw 5 red cars in a row and so it was a Super Good Day and I enjoyed the book very much, I also had a strawberry milkshake on the way home which was good. Christopher then sets out to solve the mystery of who killed the dog with the garden fork and proceeds to investigate this crime, against his father's wishes. This is the main premise of the book at the start before it develops into a wider story arc. I'd like to tell you more about the book but my friend says that doing so would make my review full of spoilers (this would diminish or destroy the value of the book to those who have not read it), so I won't do that. Instead I will finish my review here. And then I will get the train home. And then I will read another book and write another review. And I know I can do this because Christopher Boone has taught me that I can do anything.